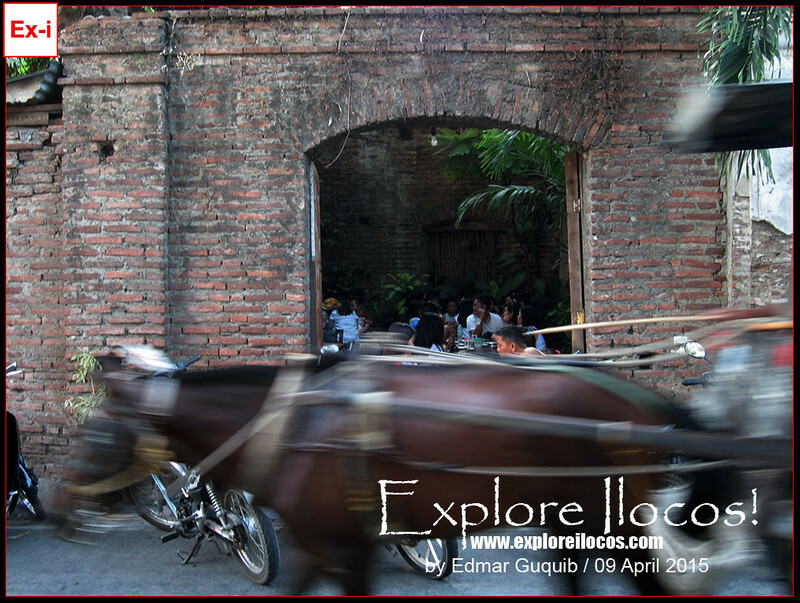 VIGAN CITY, ILOCOS SUR ▬ This heritage city is constantly changing—even its empanadaan. 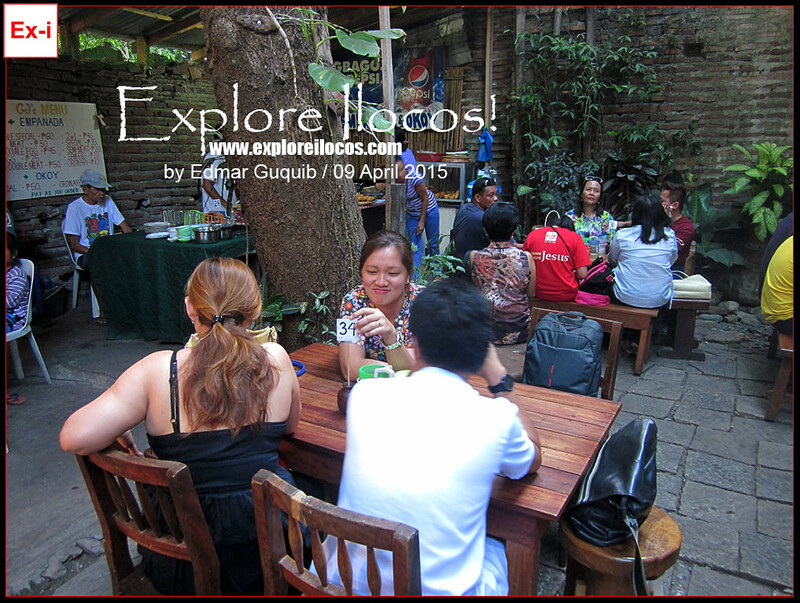 Gone are the days when the only popular place to eat empanada in Vigan is Plaza Burgos. 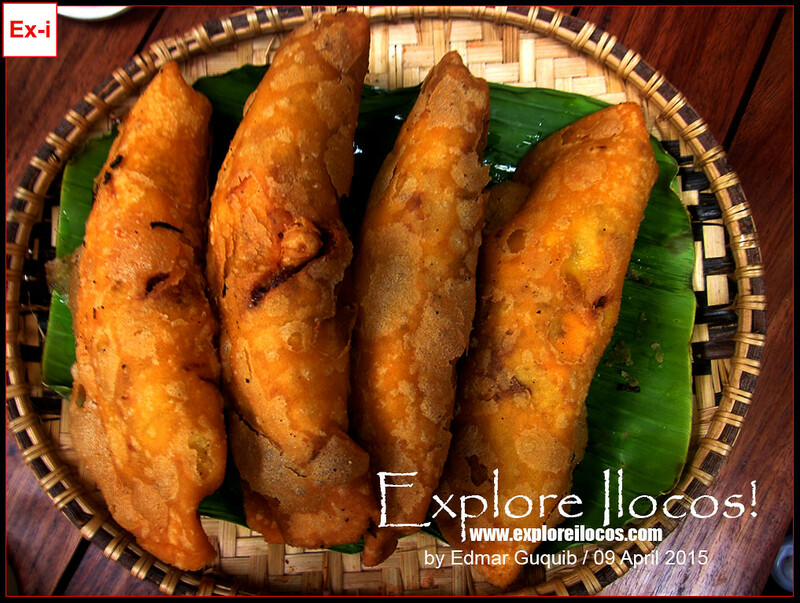 With the high demand for this popular Vigan delicacy, more and more empanadaans are appearing in no time. 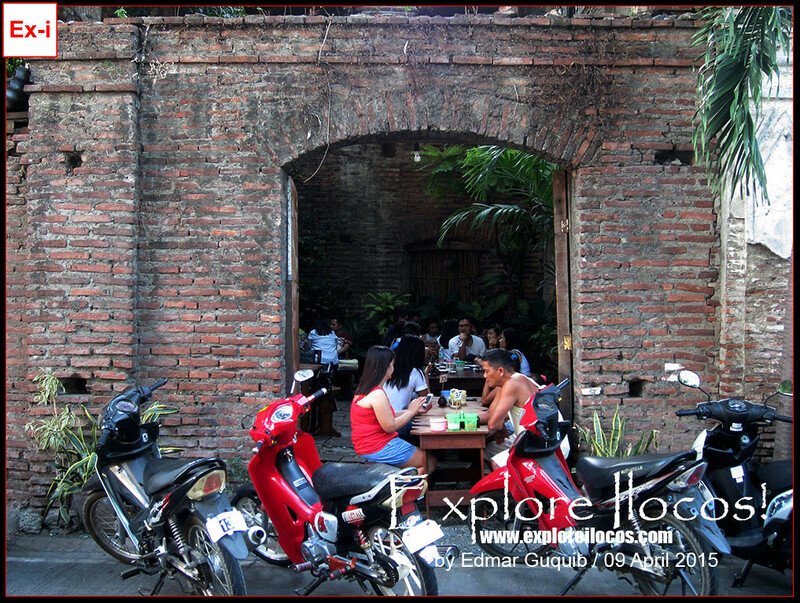 In Vigan, we use the word empanadaan to describe a place, stall or store that serves empanada as the main food. 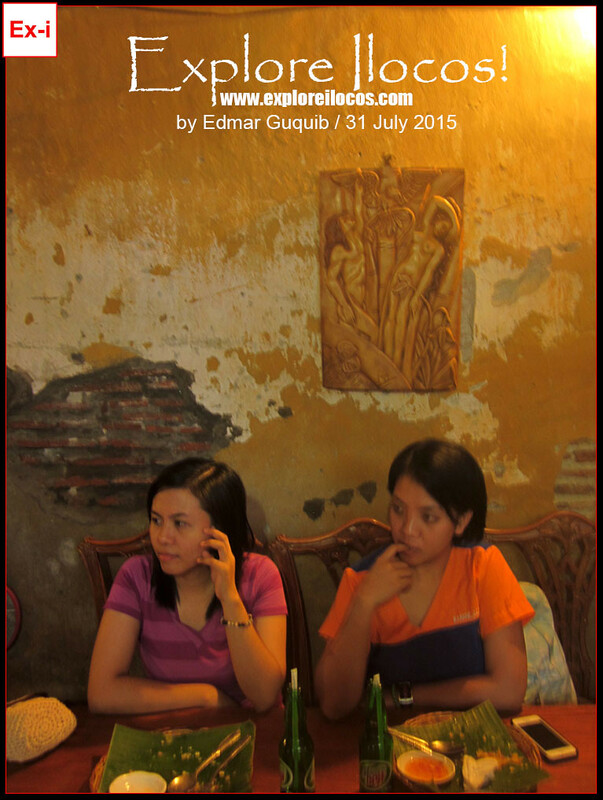 In the industry of empanada making in Vigan, for you to be known, you must be unique. Since the empanada has its standard ingredients and manner of cooking, all empanadaans offer empanadas with almost the same taste. 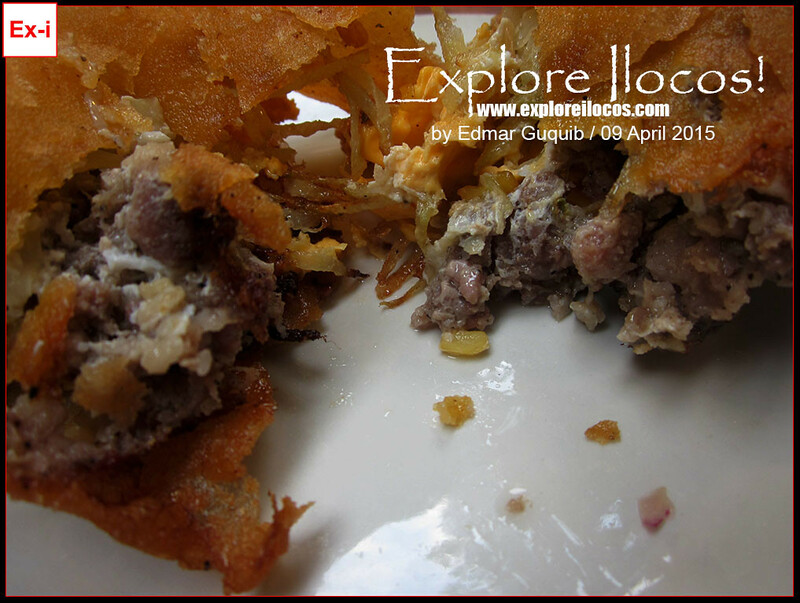 So the 'being unique' I am referring here is not limited to the empanada recipe. The set-up of the empanadaan is a big factor. 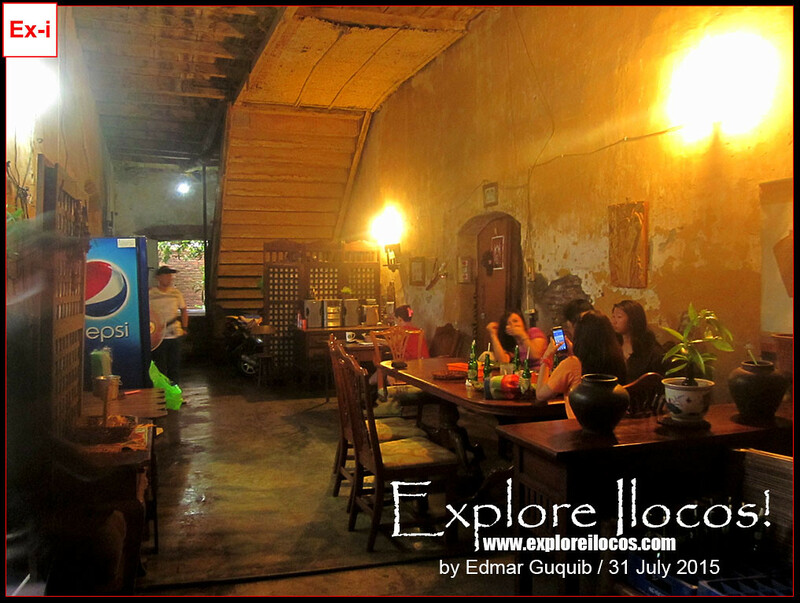 In CJ's empanadaan, they set-up theirs in the ruins beside an ancestral house and no one has even done this in Vigan. The locals loved it. Tourists followed. 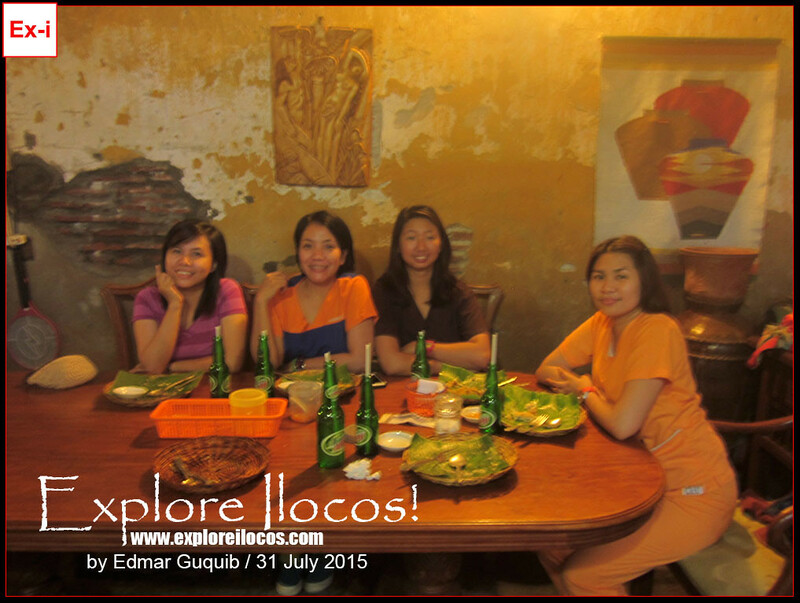 Now it's a hit in Vigan. Ventura de los Reyes Street goes parallel with the Calle Crisologo. 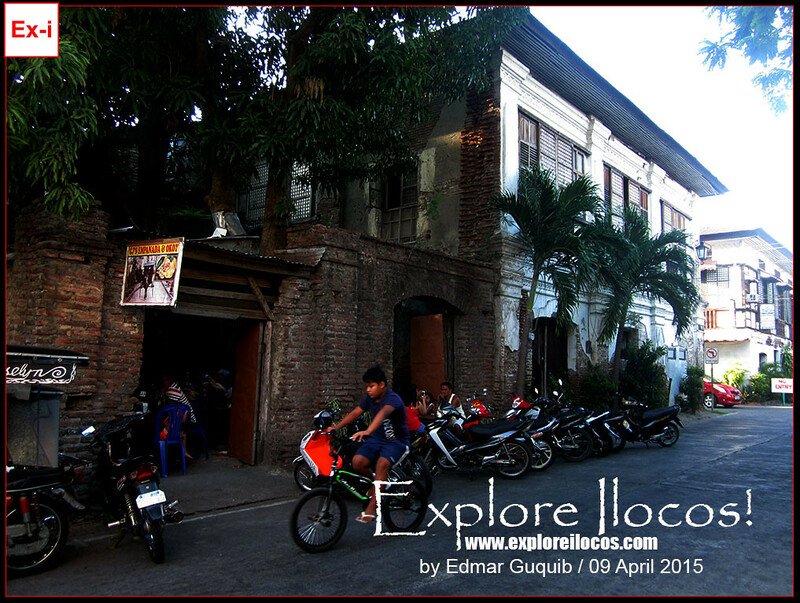 This street is also lined with ancestral houses. Some have turned into hotels and shops. 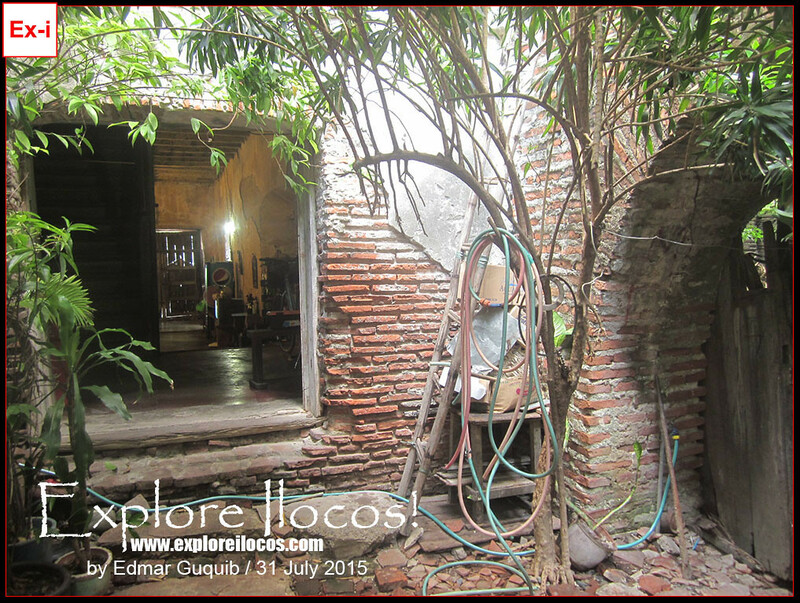 But there is this ruin beside an ancestral house. Here is where this empanadaan can be found. 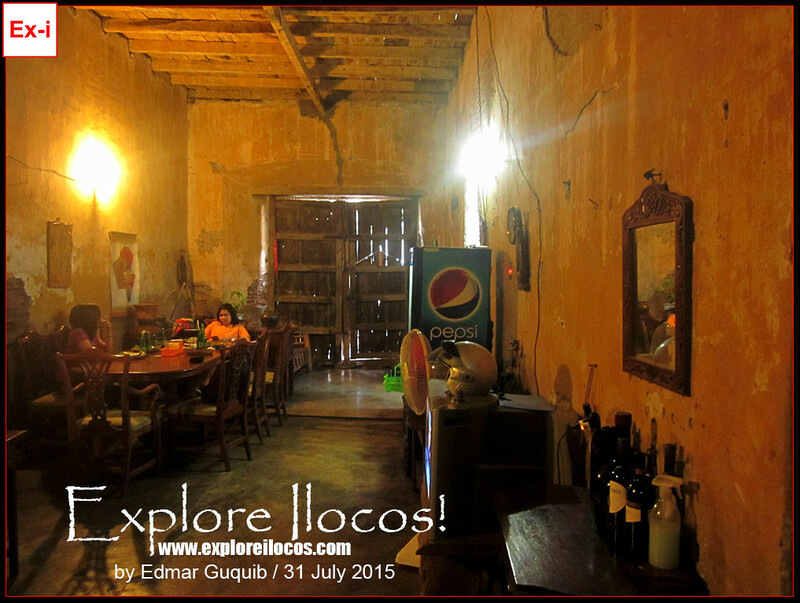 I have to say that the place is not limited to eating empanada by the ruins. 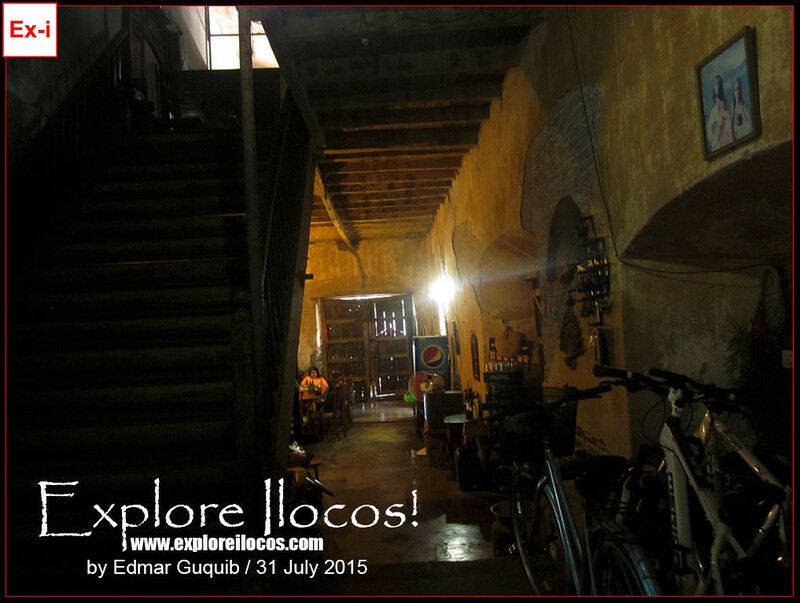 You can also dine inside the ancestral house where the ruin is attached and enjoy its spacious Spanish-era interior. Some bricks on the walls were purposely exposed. The walls are very thick. This empanadaan has different empanada variations. 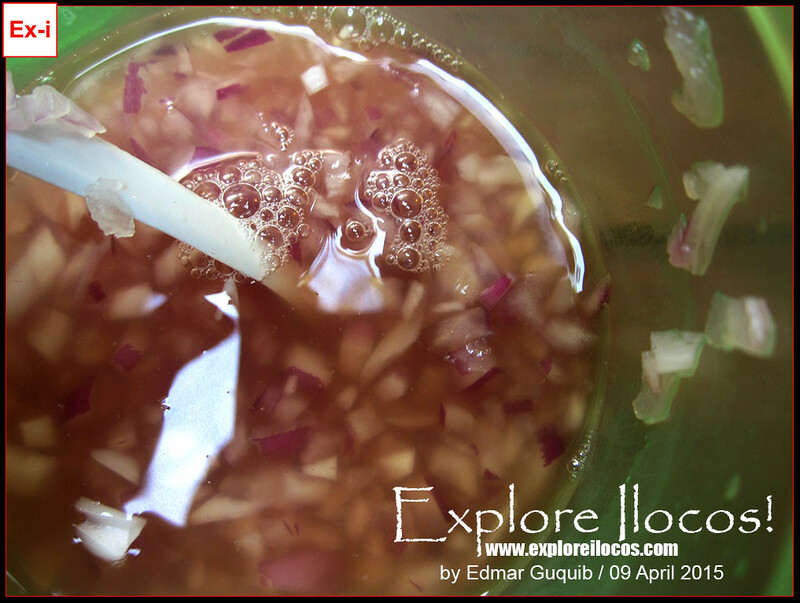 They've innovated their recipes. However, this is not new in the locality. 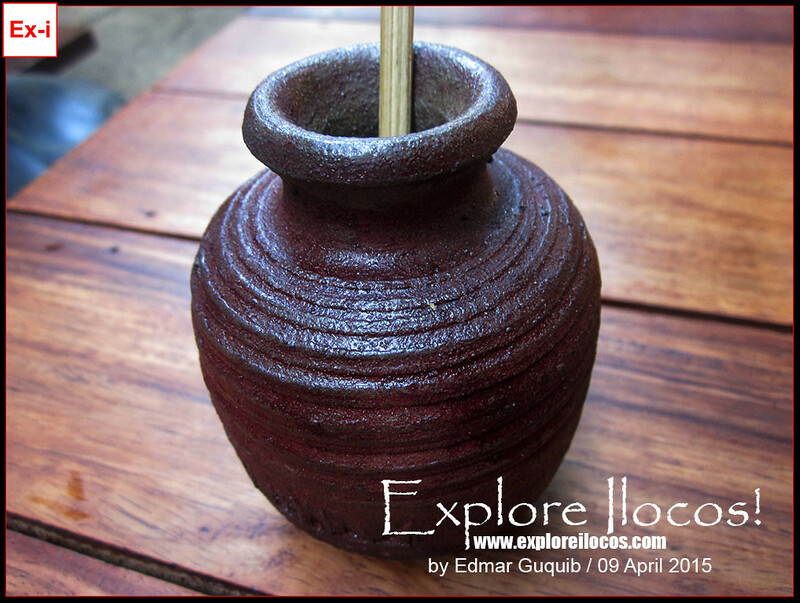 Many have also done this style, even in Ilocos Norte. 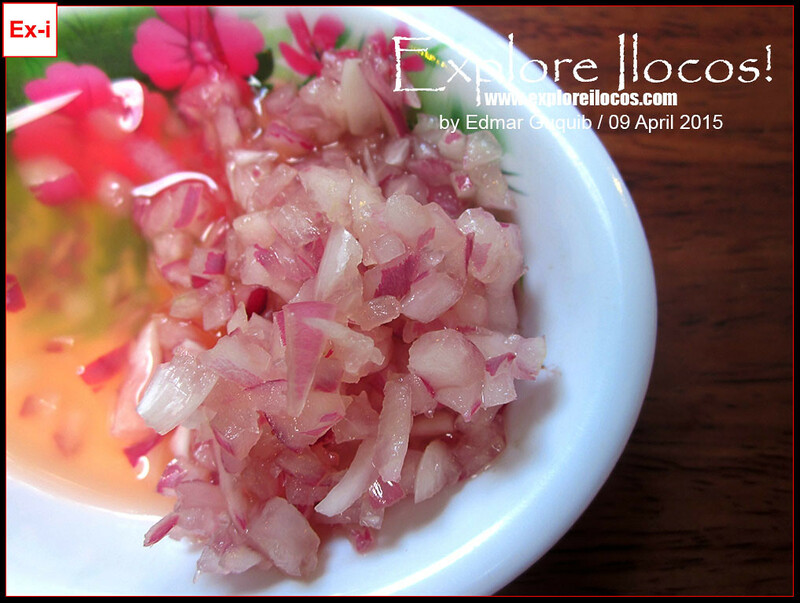 For their menu, look at the photo below. I've heard a lot of comments and seen facebook posts telling that the waiting time here is very long, sometimes even an hour especially during peak seasons. The reason I think contributing to this issue is the lack of facilities and manpower to make the service faster. The volume of clients is also a factor. Since they have limited stoves to cook empanada, you really have to wait until your turn for your empanada to be cooked. Sometimes there are also orders from hotels and other business establishments that are to be delivered adding more in the queue. 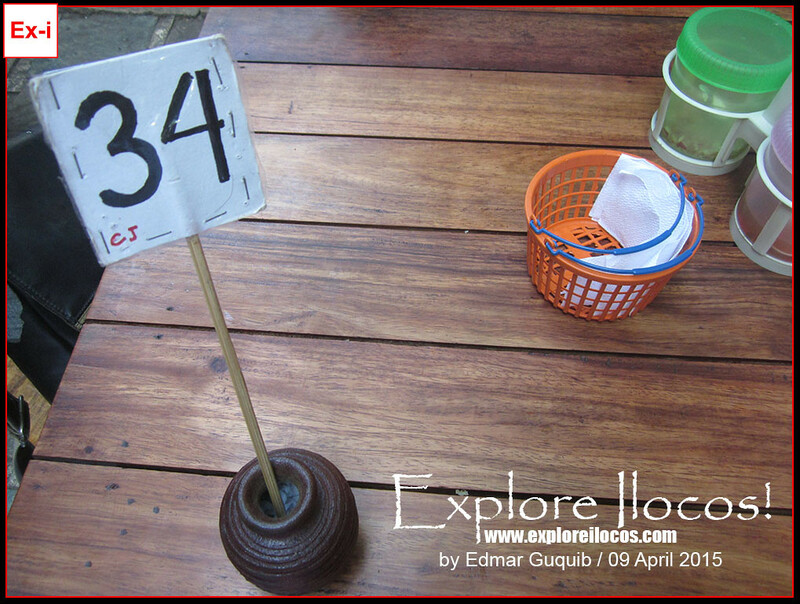 They give numbers to determine who will be served next. It's first come first serve basis. 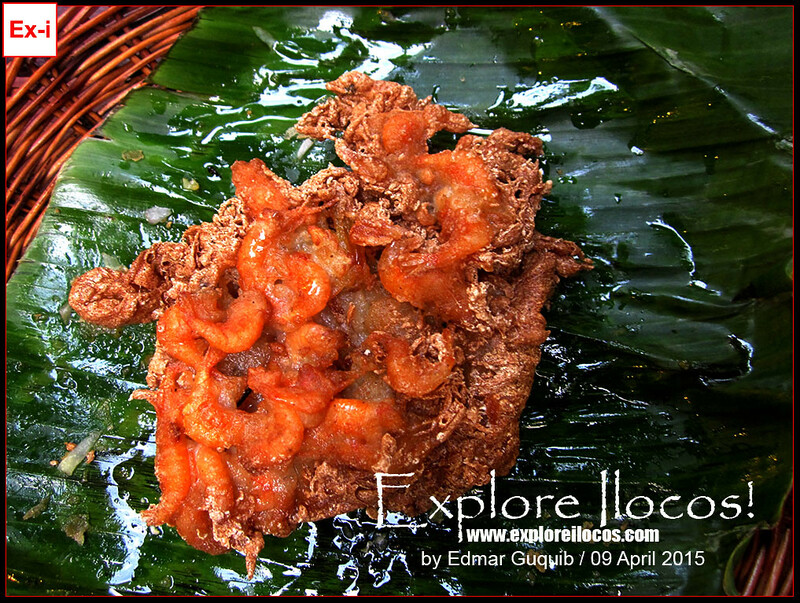 Like other empanadaans in town, okoy, a crispy torta with shrimps is also here. 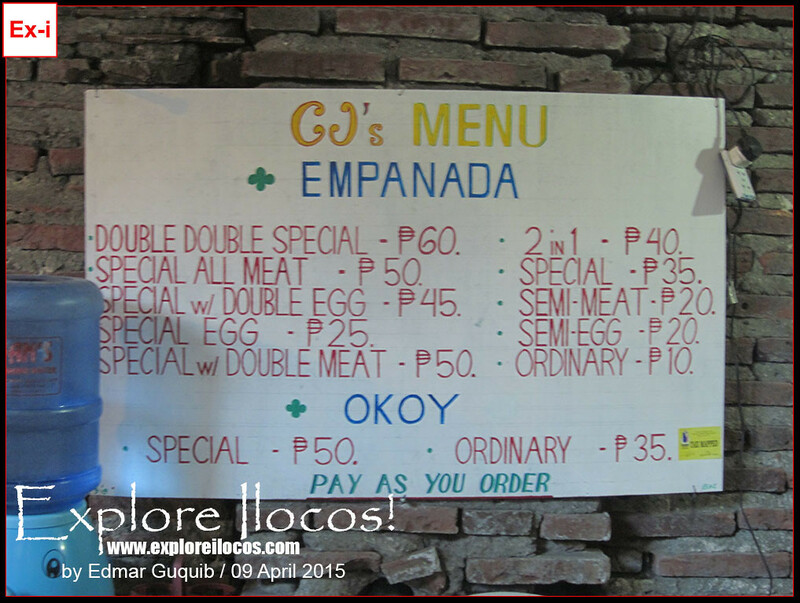 CJ's empanadaan opens at 2 PM and closes at 9-10 PM depending on the volume of customers.